This time, it’s personal. And technical. But fear not – I am about to let you off the hook! As you may know, I recently spoke at the Agents of Change Conference in Maine, then for Social Media Examiner’s Success Summit. 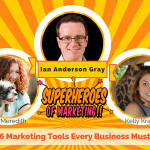 I have another training for SME this month, and I’ll be speaking at Social Media Marketing World in San Diego in March (yay!). The topic for all of these engagements? 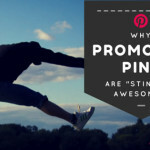 Promoted Pins. 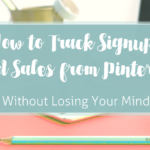 So, aside from my normal drive to try all options Pinterest and figure out what works (and what is a giant waste of money or effort) with Promoted Pins, these responsibilities mean I NEED to know. Also, I’m the one with the “Princess of Pinterest Promoted Pins” sparkly t-shirt. Oh, yes – yes I am. What I am NOT, however, is a programmer or a Google Analytics ninja. Not even close. These things make me want to curl up in a ball and cry. But they must be mastered! So, I hired a fantastic programmer to help me figure it all out. Why would I do this to myself? 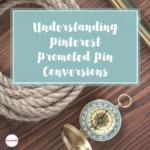 Well, with the latest round of updates on Pinterest Promoted Pin targeting, Pinterest added some very cool options for audience targeting and conversion reporting – including the ability to target people who visited (or did not visit) a page or a list of pages, or even pages where the URL contains a certain word (or doesn’t). Nice! Naturally, feeling like I must master all the Pinterest things, I set out to figure it out. I read. And read. I pulled my hair out. And read. As mentioned, I hired a programmer to walk me through it and I wrote up a procedure I could share with others. It didn’t work. So, he tweaked the functions.php file on my site (there was a theme and plugin conflict) and it looked like it worked, but the analytics from Pinterest were so blasted confusing, it hardly mattered. I got nothing. Except more frustrated. PageVisit – easy, create an audience for that page. ViewCategory – as long as your URL taxonomy has a category listing, no prob. Target that path or just the category name (URL “contains”). Search – mmmm, probably not, but I already admitted that one. 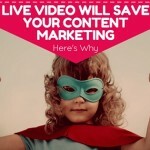 WatchVideo – mmmm, I can’t help with that one. Signup – target the thank you page. Lead – target the thank you page – even if it’s on clickfunnels or leadpages. Custom – target any old page, or common URL element you want. See? Unless you have a site that is all on one URL or you want fancy stuff like to know what they searched, what they bought, how much they spent, or if they watched a video, forget the events. 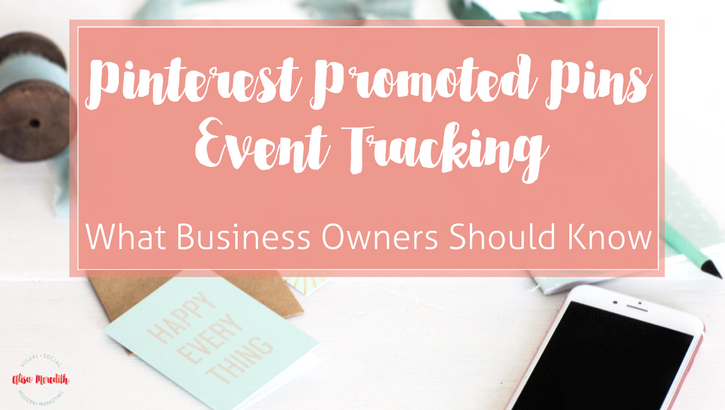 Now, if you are selling a lot online, it is definitely worth setting up event tracking. And just because it made me want to scream doesn’t mean you have to go there. So, if you ARE a retailer or are on ETSY (even the basic transaction URL tracking won’t work if you’re on ETSY), message me and I’ll put you in touch with Alex. He put up with me, and he can help you, too. Plus, his rates won’t break the bank. What on Earth Is a “Conversion” in Promoted Pin Analytics? Good question. 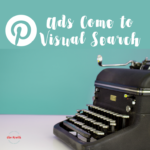 The Pinterest Ads Manager Guide says in the metrics glossary that this number (which is higher than your clicks) is “the number of completed actions (purchase, sign-up, download, etc.) on your website that can be attributed to Promoted Pins.” Well, I don’t know about you, but I find it very hard to believe that each visit from a Promoted Pin to the websites I looked at resulted in an average of about four conversions. That would be fantastic, but it is more likely fantastical. I have messages in to Pinterest help about the strange numbers. I’ll update if they get back to me! The conclusion? Use your own tracking methods wherever possible – these are not ready for primetime. You’ll want to use UTM codes and Google Analytics with goals instead.